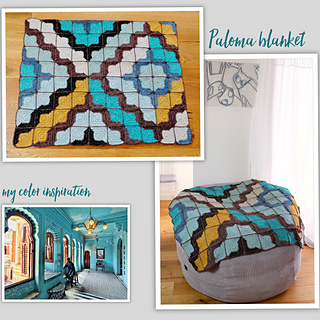 Introducing Paloma Blanket, an easy graphic granny square that can be put together in many interesting arrangements. 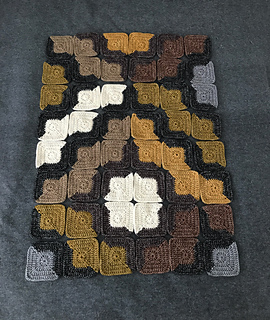 You will not be able to resist playing with this motif, adding your own colorways and putting your own spin on the arrangement. A few coloring pages with alternate arrangements are included with the pattern to get you started. 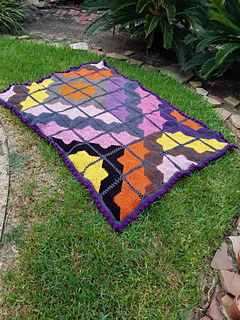 Design as shown is a small afghan of 42” x 52” using 12 vibrant colors of Scheepjes Stonewashed XL. 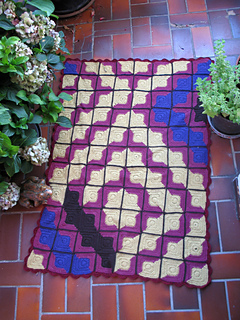 The motif is formed using the tapestry crochet technique, with an extremely simple description of the technique and only 4 color changes per square. 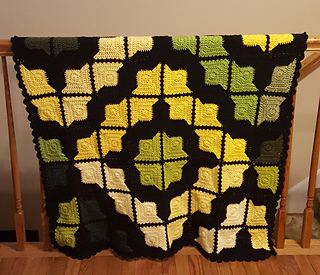 Each motif has just 4 ends to weave in. 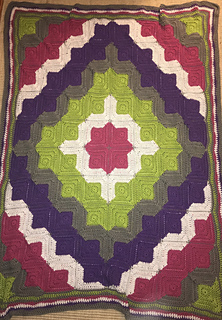 The blocks are joined with the flat braid join technique. 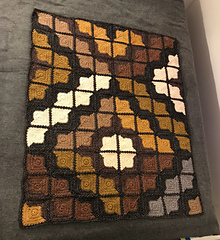 Instructions for the join are not included, but there are several tutorials online for this technique that I learned from Priscilla Hewitt – links provided. 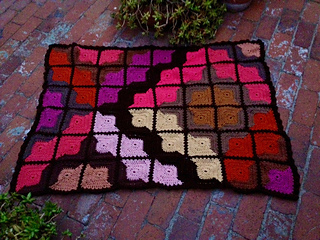 The afghan is finished with a chunky popcorn stitch border that balances the graphic shapes of the design. The coloring pages are a second PDF download file. 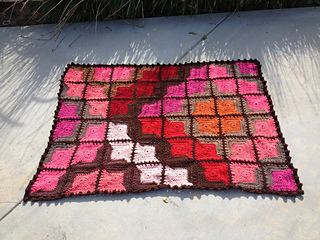 Share photos of your project on a Ravelry project page, and spread the word on social media using #palomacrochet.